One of my favorite street style blogs around is Advanced Style by Ari Seth Cohen. 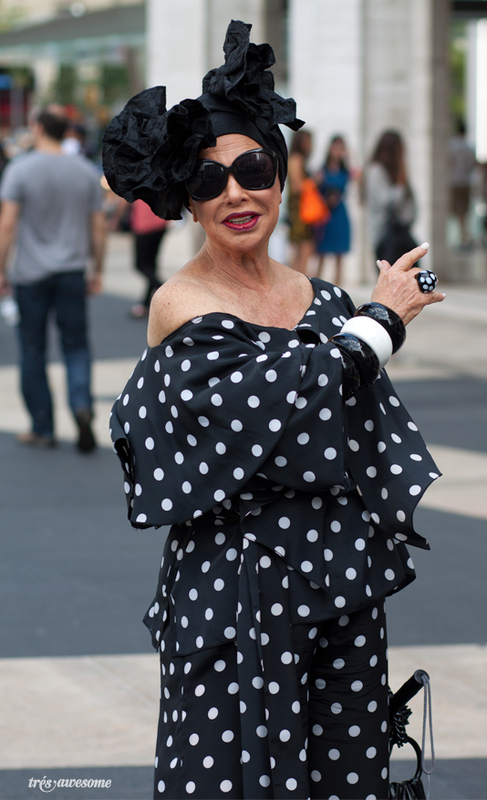 I spotted one of his favorite muses, Lynn Dell at Lincoln Center last week during New York Fashion Week. She was as glamorous and gracious in real life as the pictures I had seen on the website. Check out one of the other fabulous looks Lynn rocked at Fashion Week on Advanced Style. so outrageous and inspiring. really inspires you to be yourself in fashion. Totally agree. I've come back to Chicago so inspired to let my style freak flag fly!